STC Expeditions, a local provider of ethical school expeditions, has joined a national movement to help promote the concept of ethical careers to schools across the south west and beyond. Adrian Ferraro from the Exeter-based schools’ travel company, spoke at the Ethical Careers Event on Tuesday March 5th at Gordano School in Bristol in front of an audience of 270 students from the school. Organised by Liketobe.org, the online networking platform that raises career aspirations of young people, and hosted by Chris Packham, the naturalist and television presenter, the event invited professionals from a wide range of businesses to come together to discuss the career options available to young people today and to address the ethical ramifications of those careers. 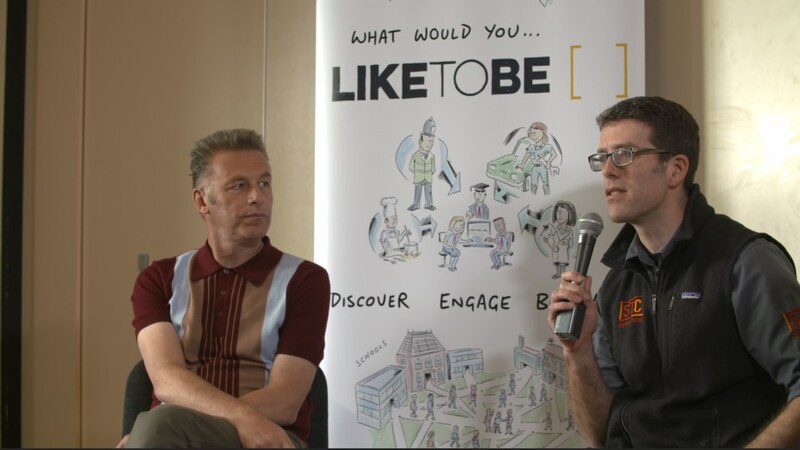 The event was filmed by a professional TV crew and will soon be available to view on the LiketoBe.org website, as part of LiketoBe.org’s activities to support National Careers Week. Schools and students wishing to access the event are invited to register for free on LiketoBe.org. Once registered, young people will be able to watch the filmed event, as well as engage and network with a variety of independent professionals and businesses to discover what employment opportunities are available and learn what career paths are open to them. Antony Jinman, Founder of LiketoBe.org explains, “Issues such as the environment and equality are important to everyone, especially young people who are just starting out in the world. Many can feel like these concerns are a barrier to developing a career in certain subjects or that opportunities are closed to people from certain backgrounds. Adrian Ferraro from STC Expeditions adds: “As a provider of ethical school expeditions it was great to be part of this event. We try and challenge our students and our industry in how we can all be better, more responsible travellers. We also want to show how good ethics is good business. Responsible tourism is at the heart of our company and, as many schools are starting to make more decisions based on ethical factors, we are seeing a big growth in our business.